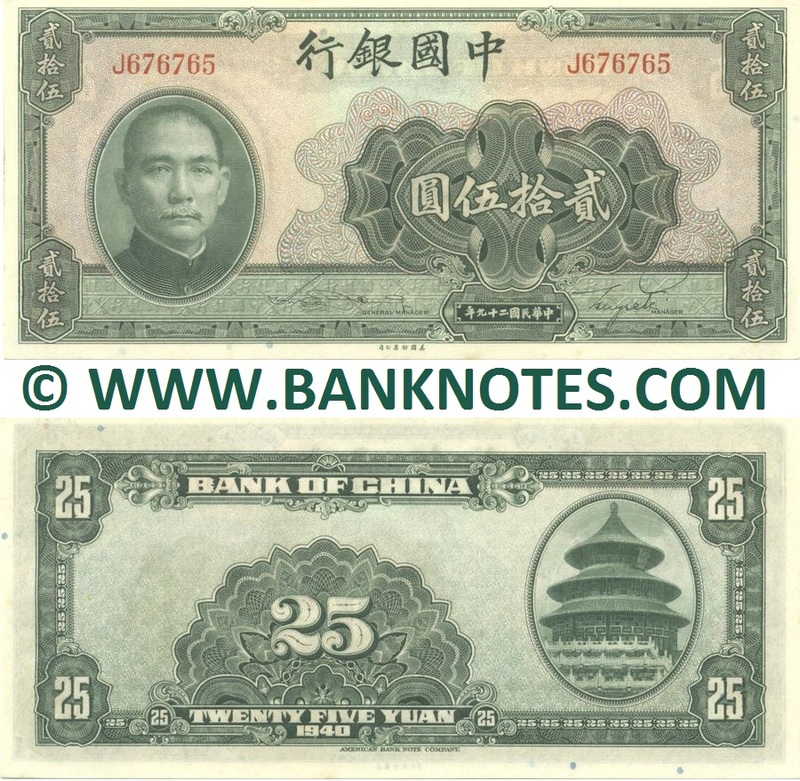 China 25 Yuan 1940 - Chinese Currency Bank Notes, East Asian Paper Money, World Currency, Sino Banknotes, Banknote, Bank-Notes, Coins & Currency. Currency Collector. Pictures of Money, Photos of Bank Notes, Currency Images, Currencies of the World. 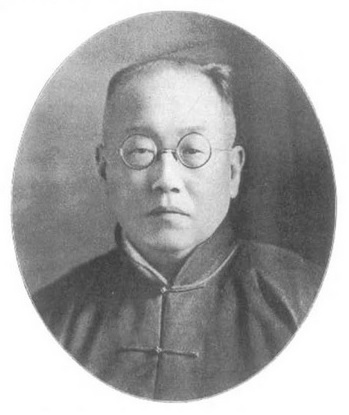 China. It is also known as Altar of Heaven and Hall of Prayer for Good Harvests. Watermark: None. Security features: Running serial numbers. (Manager). Security thread: None. Printing method: Intaglio. Issuer: Bank of China. Date of Issue: 1940. Withdrawn from circulation: Yes. Legal tender: No. Total issue: N/a. Material: Cotton paper. Printer: American Bank Note Company (ABNC). Texts: Bank of China. Twenty Five Yuan. 1940. 29th year of the Republic of China.